Recent updates and miscellaneous items. 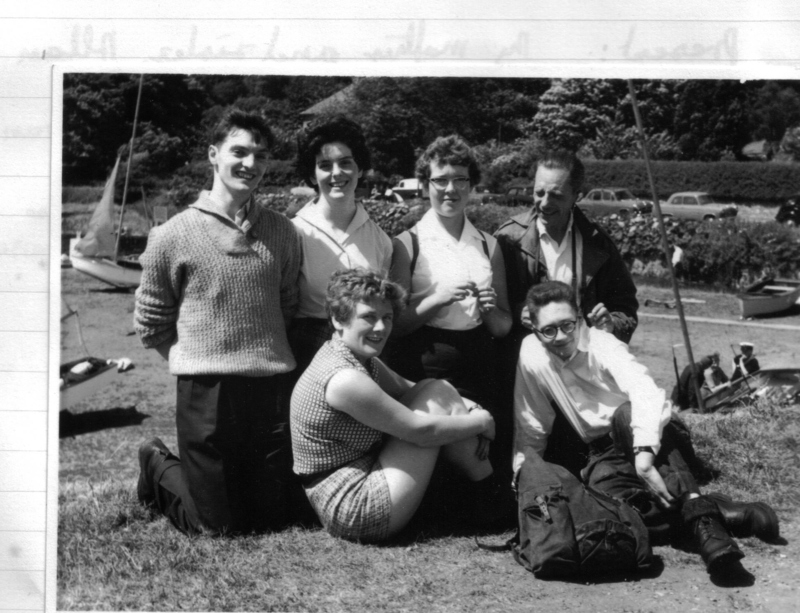 New Photos from the Archive of Brian R Robinson,Courtesy of his son Lloyd Robinson. Location & Origins and the Farms of Levenshulme A new feature " The Pig Farms of Levenshulme"
Pubs & Clubs in Levenshulme. Levenshulme's Cinemas & links to TV, Films and local Celebrities. A page dedicated to this film with a Levenshulme connection. New photos of the interior of Errwood House. 2012. August 2013. More "On Location" photos & Italian & Dutch stills and posters. 2001 Chapel Street Reunion & Other Reunions. The shops on the A6, Past & Present. Also Road Transport. Industry, Schools and Churches in Levenshulme. Levenshulme its part in Aviation History. 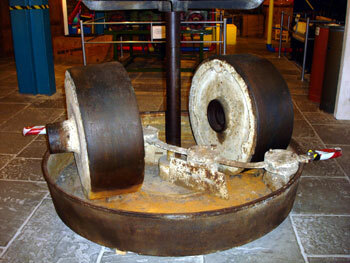 New Feature on George Armitage, Pilot, Dentist & Hovercraft Builder. New Fairey FD2 and Halifax photos. SPORTS & LEISURE Levenshulme Parks and recreation grounds. Personal Memories. Also includes The Duchess Of York Hospital and Talleyrand. New Sean Connery photo!! Links to other Websites that I have found useful in my research. Also now includes the Nixon Family History. SEE NEW PHOTOS OF The Home Guard on Mellands' Playing Fields. I am always looking for unique photos of Levenshulme in the 40s, 50s, and 60s. 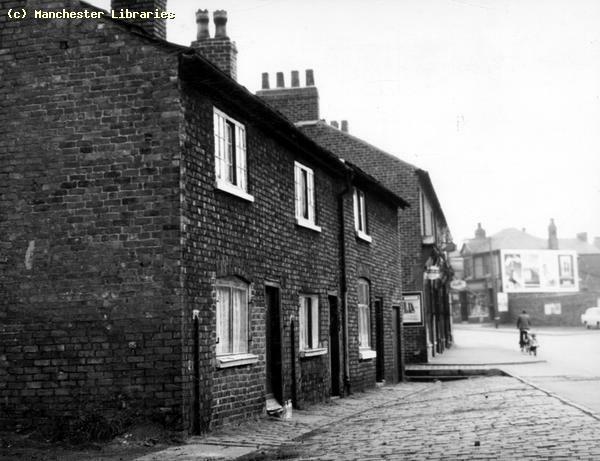 of Levenshulme from 1949 to 1973. STOP PRESS!! My website has recently been featured on ALL FM 96.9 on "Levy Life & Times. In October 2013 I visited Manchester for my nieces wedding. 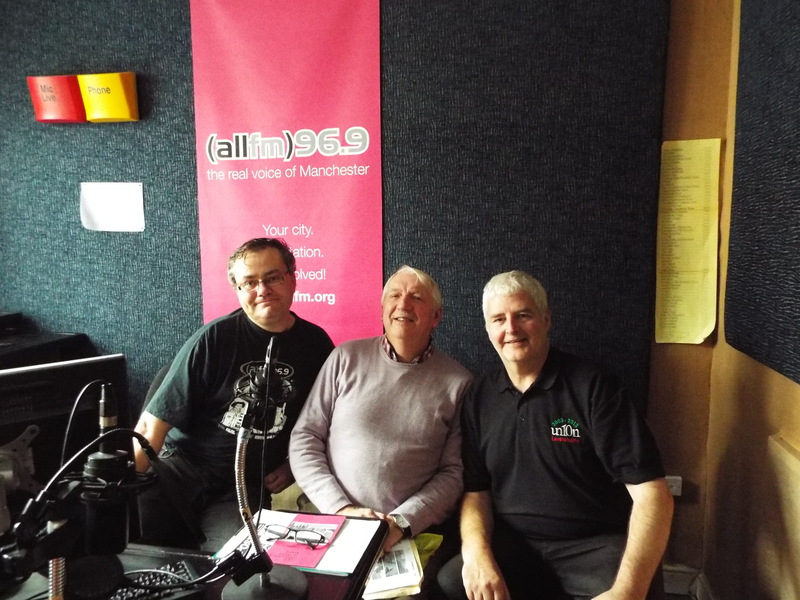 While I was there I had the opportunity to join Jonny Glaze at ALL FM radio in Levenshulme, and appear on two editions of his "Levy Life & Times" programme talking about my website and the history of Levenshulme. During the first show we were joined by Lawrence Hennigan, and I was accompanied by Irene Bugera my friend from Canada. This was a new experience for myself, as I have never done a radio show before. I thoroughly enjoyed the experience, and Jonny made it so easy for me to talk about my memories of Levenshulme. Outside the ALL FM 96.9 Studio on Albert Road. The house was formerly a doctors surgery. 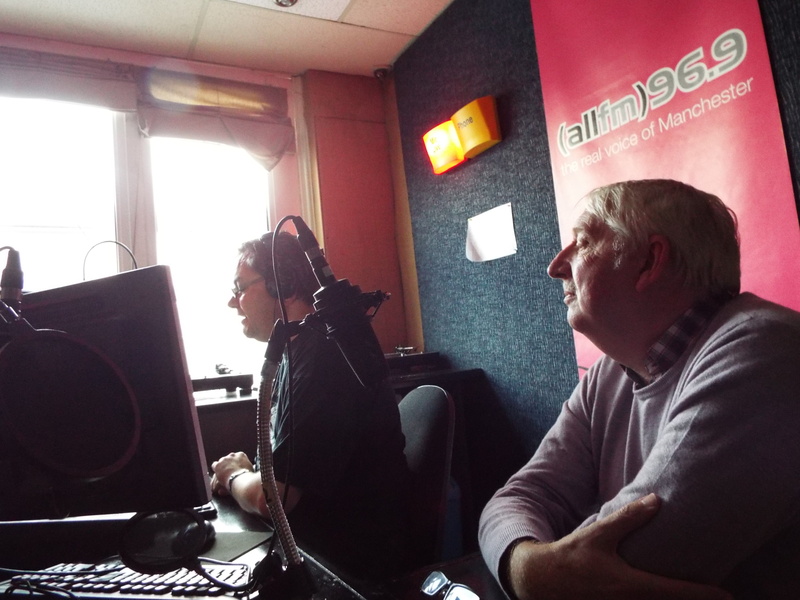 "On Air" with Jonny Glaze, AKA Jonathan Lambert, 9th October 2013. Three "Levyboys" Jonny Glaze, myself and Lawrence Hennigan!! STOP PRESS!! I have recently been gifted a massive archive of photos and newspaper and magazine articles collected by the late Brian R Robinson. 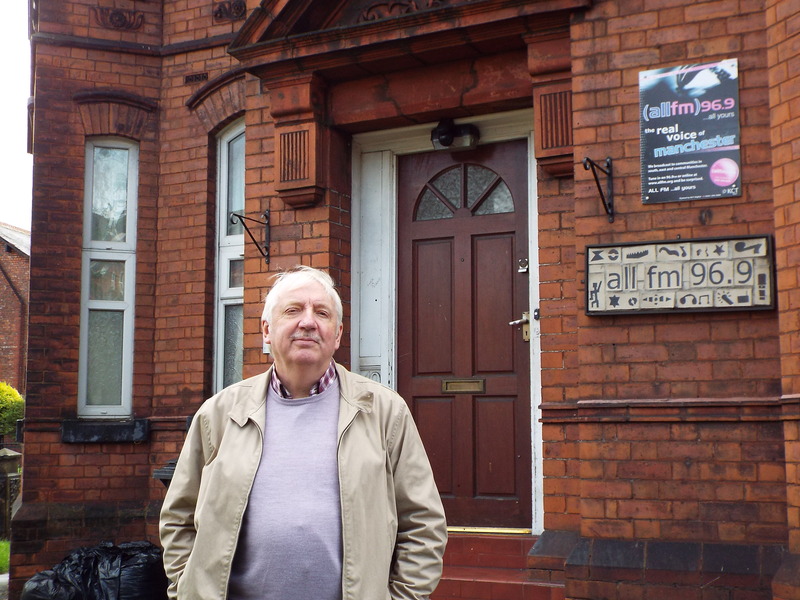 Brian was a long time resident of Levenshulme and took a keen interest in Aviation & Local history. The archive was donated by his son Lloyd Robinson, and will be a great asset to adding to and expanding my knowledge of Levenshulme. Most of the photos were take between the late 1940s and early 1970s. You will find these new photos on all the pages of this website. I hope you enjoy them. This is the first of the new photos from the archive. It was taken, I think in the early 1960s, although it may be earlier! The scene depicted shows most of Central Levenshulme from Crayfield Road , where I lived to Chapel Street. The top is heading south the bottom heading north. Some of the landmarks are South Levenshulme station, still intact in this view, and the Regal Cinema on Stockport Road. 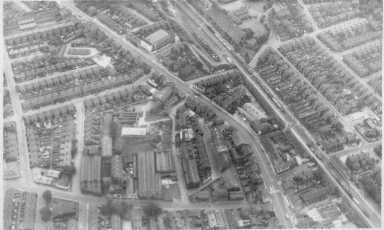 Quite a lot of what you see in this Aerial view has vanished over the intervening 50 odd years!! It would be great to get a current aerial view in 2012!! I have been rather busy work wise, but I now intend to up-date on a more regular basis. I have heard from many people over the last few months, and I will try to add their photos and memories in the next little while!! Best Wishes, George Nixon. PS. I have also added a page on FACEBOOK, but have not really done much with that thus far. STOP PRESS # 2 An Elvis Presley connection to Levenshulme!! I recently found this photo while researching the wrestler, actor & club owner Bill Benny, who owned and ran the Levenshulme Sporting Club. 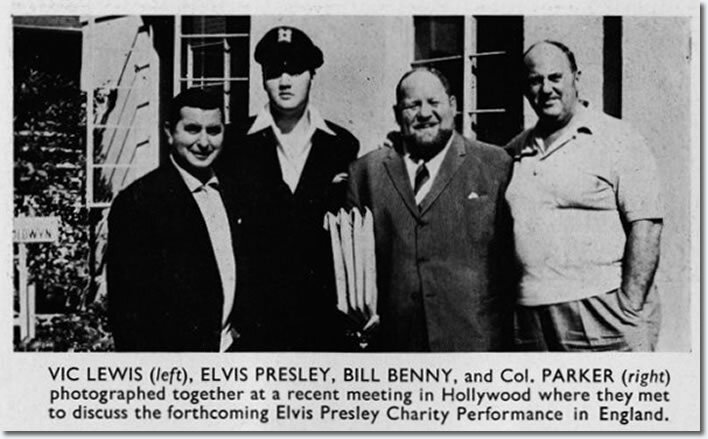 This photo from the early 1960s shows him in Hollywood meeting Elvis Presley! See more on Bill Benny in my "Hell Is A City" movie file. Mr Heathcote, the Chimney Sweep, A local character!! The above photo was sent to me earlier in the year by Danny Heathcote, whose father was the local chimney sweep in the 50s & 60s. Mr Heathcote was a true Levenshulme character. 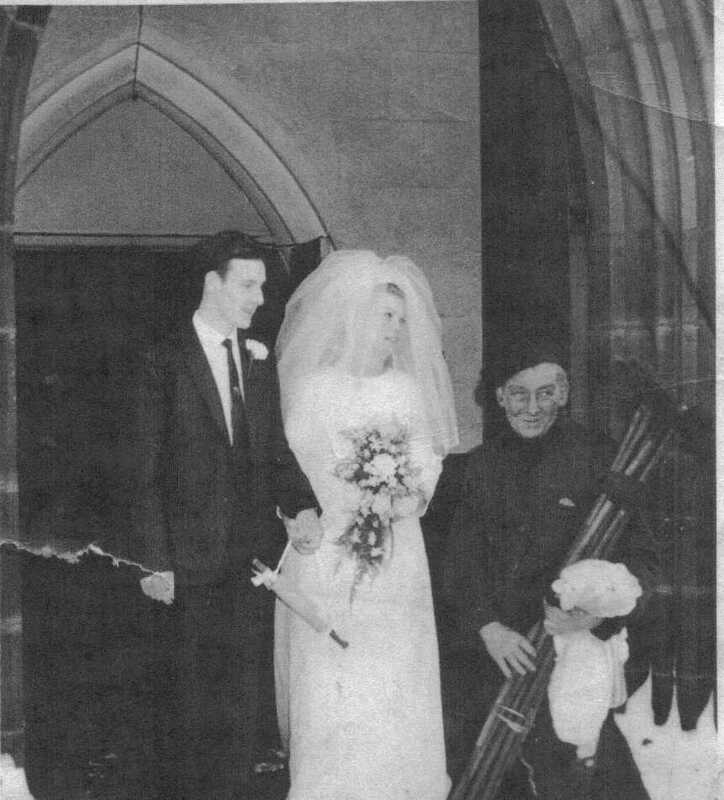 This photo was taken at a wedding in the 1960s, at St. Peters Church. The couple Elaine & Peter were following an old tradition of inviting a sweep to the wedding. The sweep was thought to confer good luck on the union. I hope that it worked out for the happy couple!! Can any one add anything to this story? The Oldest House In Levenshulme? I am curious to find out which is the oldest house, building, structure still surviving in Levenshulme in 2010. There were farms and houses in the area prior to 1800! Are any of them still standing? The Cromwell Grove Film Studio! While reading a short history of Methodism in Levenshulme, I came across a reference to the old "Tin Chapel" on the corner of Cromwell Grove & Mercer Street being used as a film studio. Does anyone out there know anything about this? Dates, photos, information please!! Donkey Stones. Do you remember stoning your front and back steps? 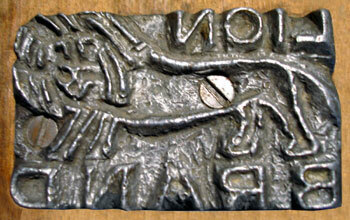 I just came across a site which gave some history on what I knew as " Donkey Stones". Do you remember your Mum or your Gran stoning their front and back steps with a soft powdery tablet that they got off the "rag and bone man" in exchange for old clothes or scrap metal. It was a "pride" thing and very familiar in the 1950s and earlier. 'Donkey Stoning" seemed to die out in the 1960s, along with civic pride! 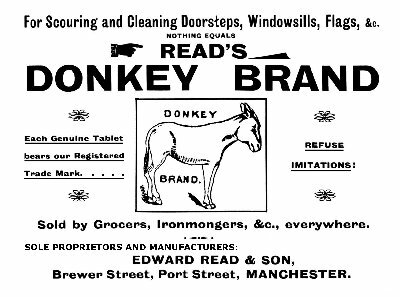 Anyway, it seems that the donkey stones were produced in Ashton-under-Lyne by a firm called Eli Whalley & Co. Their brand names were "Donkey" and "Lion". They were the worlds last surviving donkey stone manufacturers, and remained in business until 1979!! Do you remember stoning your steps? Let me know. 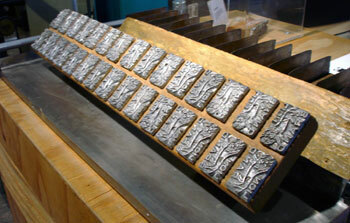 The original "Donkey" brand manufacturer, and moulds and press from Eli Whalleys factory. It has recently come to my attention that the Stockport Road end of Barlow Road was once known as Adlands Lane. It is still shown as such in the 1891 Census. Does anyone know when the name was changed and for what reason? By 1905 it is shown on the Ordnance Survey maps as Barlow Road! A Noted Levenshulme Historian! Bob Garside. I have recently been advised of a person who was known as a local Levenshulme historian in his time. His name was Bob Garside. His name was brought to my attention by Mike Berrell, who knew him from Youth Hostelling days in the 1950s & 60s. Apparently Bob, who died in 1971, was well known for his local history knowledge and documented everything that he did. His records are all now lodged with Manchester Central Library. If anyone knew Bob Garside, and can add more to this I would be really interested. Bob has a daughter, Lesley Ratcliffe, who now lives in Australia. Welcome to my Levenshulme Website in 2010. The site is over 6 years old, and I am still finding and adding photos and history to the site. In December and January 2010, Britain and Europe have had huge downfalls of snow and the coldest winter in over 30 years. You should live in Canada!! Does anyone have any memories of Pat Kirkwood, the stage and screen actress? She did not live in Levenshulme, but was a pupil at Levenshulme Girls High School on Errwood Road. I believe that she lived in Burnage. Apparently she is still alive, and lives in Yorkshire. Update:- Pat Kirkwood sadly passed away on Christmas Day 2007. She was 86 years old. http://www.images.manchester.gov.uk/ Try this link to the Manchester City Council Web site for photographic images. There are over 77,000 images in total. Over 1400 images of Levenshulme!! A truly amazing site. 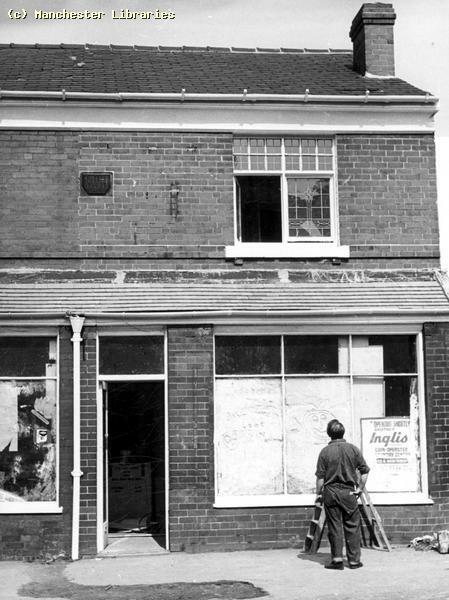 Levenshulme Then & Now, The story so far. Since launching this website in October 2003, I have received quite a few favourable comments & some suggestions from people who have found the site while browsing for information on Levenshulme. It is encouraging that I have been in contact with two teachers, one from Alma Park School. They have indicated that they may use this site for their local history studies. This is very encouraging, but it is also a reminder to me that this site can & will be viewed by all ages. Therefore I will ensure that the contents do not offend. If you feel that any of the images may be offensive please let me know. I have also had a great deal of help recently from Andrew Barber, several of his photos relating to Barbers Removals & Levenshulme in the 40s & 50s are now on this site. Andrew even went & photographed Errwood House, the location for "Hell Is A City", for me! Thanks Andrew! To those that have found this site, please visit again. I will be updating and adding to this site on a regular basis. If you find it helpful or just plain nostalgic, please contact me & let me know what you would like to see on these pages. Also please pass on the website address to anyone who you think may be interested, or who can help with information. Memories & unique photos or images of Levenshulme always needed! Enjoy! Best wishes, George Nixon. 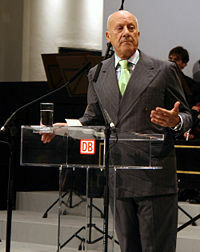 Sir Norman Foster, born in Reddish and raised in Levenshulme, must be the most successful public figure that Levenshulme has ever produced. As a child he lived on The Crescent in Levenshulme and attended local schools. After leaving school at 16 he worked in the Manchester City Treasurers Office. Following National Service in the RAF, in 1956 he attended Manchester School of Architecture and City Planning and graduated in 1961. He attended Yale University on a fellowship, returned to the UK in 1962 and set up an architectural practice. I was born in Manchester,7th September 1949. For the first 23 years of my life I lived in Levenshulme, South Manchester, England. During my first 3 years we lived on Windsor or Osborne Road, maybe both! We then lived for a year or so on Thorncliffe Grove. Around about 1953 we moved to 14 Station Road, later Crayfield Road, where I lived until I married Mavis Arnold in 1973. During my time in Levenshulme I attended Chapel Street School, leaving in 1961. 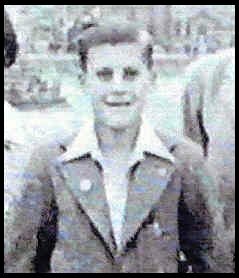 I then attended Didsbury Technical High School until it joined with Chorlton Tech in 1965,and became Wilbraham High School. After 1973 I lived in Offerton, Stockport. In 1988 we emigrated to Alberta, Canada. Although I lived in Levenshulme during my childhood & young adulthood, I realized that I never really knew too much about the history of the place! This Website will, I hope, enable me and other people interested in Levenshulme to discover more about the place we called home. It is a work in progress, launched on October 30th 2003. It will be fascinating for me to see where it takes us in unlocking some of the stories of a place that, I believe, is unique in the World! Do you know of any other place called LEVENSHULME? Have you ever wondered what a person who lives or lived in Levenshulme should be called? Or do you know? Are we Levenshulmers, Levenshulmians, Levenshulmites? What do you think? I am curious!! Levenshulme. How do you pronounce the name? Over the years I have heard the name Levenshulme pronounced several ways. Phonetically it sounds like LEV-EN-SHOE-M. However, I have heard it pronounced Levenzoom, Levens Hulme Etc. The funniest pronunciation was the one used by the announcer over the Pearle & Dean advertisements at the Palace Cinema in the 1960's. He pronounced it Leevenshulme!! Very posh, it always elicited a ripple of laughter from the patrons!! When I was a child we often abbreviated Levenshulme to LEVY. For example:- Levy Baths or Levy High. Do you have any thoughts on this? Let me know. While doing some research I have discovered that Levenshulme is a surname. I will try to find out more about this & its origins. Did you ever meet anyone called Levenshulme? Update:- January 2010 I have been contacted by Amy Levenshulme from New Brunswick, Canada, but is now living in Calgary, Alberta. Hopefully more on this soon!! Incidentally her family pronounce the name Levenshulme as "Levenchum"!! I recently received this information from David Johnstone, detailing the origin of the name Levenshulme. " Levenshulme,a district of Manchester whose name means Leofwine's island, with the personal name, followed by the old Norse (holmr) meaning island raised on ground in a marshland. The name was recorded in 1246 as Lewyneshulm. This is an extract from a book called, Dictionary of Place Names by Adrian Room. Is this where we get the Levy from?" ( information received March 20th 2009).